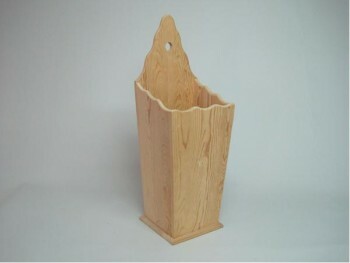 Umbrella stand In natural pine unvarnished. Also sold varnished. Cherry, Walnut. Magazine rack made of solid pine wood, measurements 39x22x58, with two divisions to place magazines, newspapers. Adjustable sawhorse in pine wood adjustable height and with shelf. Assembled railing Length 120 cm available in three types of wood Pine, Beech and Oak. Adjustable sawhorse of pine wood painted white and with height adjustable shelf. 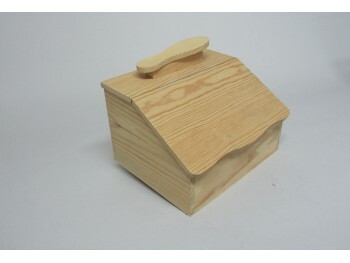 Octagonal bin made of poplar. Dimensions: 30x30x33 cm. 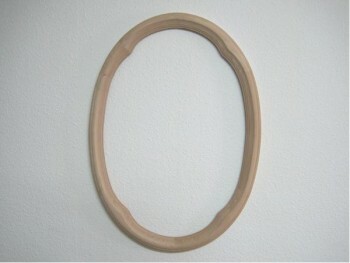 Made of beech wood, outer measurement 68 x 49 cm. Towel rail big ring for shower towel with integrated hanger. 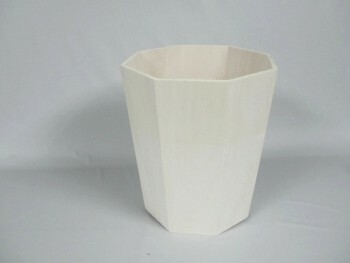 We also sell it varnished or lacquered white. Outer measurement of ring 21 cm. 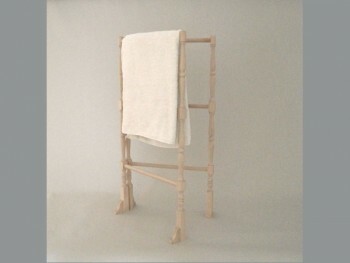 Long towel rail for shower towel. Also available varnished in several tones or or lacquered white. Short towel rail with integrated hanger for hand towel. The rail is 25 cm. We also sell it varnished or lacquered white. Toilet-roll holder for toilet paper with finish and peg. The price is for wood, untreated, unvarnished. If you want it varnished, select the finish colour. Standing towel holder for shower towel. Measurements 87 x 45,5 cm. 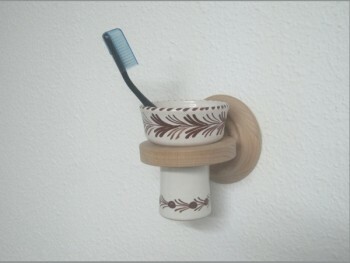 Glass holder with ceramic glass included, perfect to place toothbrushes and toothpaste. 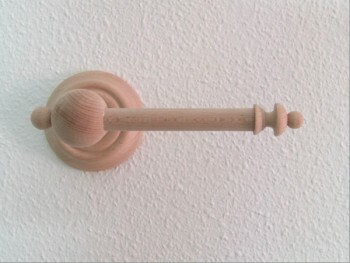 Hanger wall hanger shaped ball for bath towel or robe, with built-in hanger. We also sell varnished or lacquered in white. Shoes storage box ideal for storing creams to clean the shoes. Manufactured in pine.